This home features a great open floor plan with vaulted ceilings. The great room, dining area and kitchen are all open to each other. The kitchen has a pantry, loads of cabinetry and a newer counter top. You will find a large master bedroom with a master bath and walk-in closet. The office/study with French doors can also be used as a third bedroom. The solarium on the front of the house brings in tons of light and allows you to enjoy the wildlife. The home is energy efficient as the pellet and wood stove can heat the home warm and cozy during the cold months. 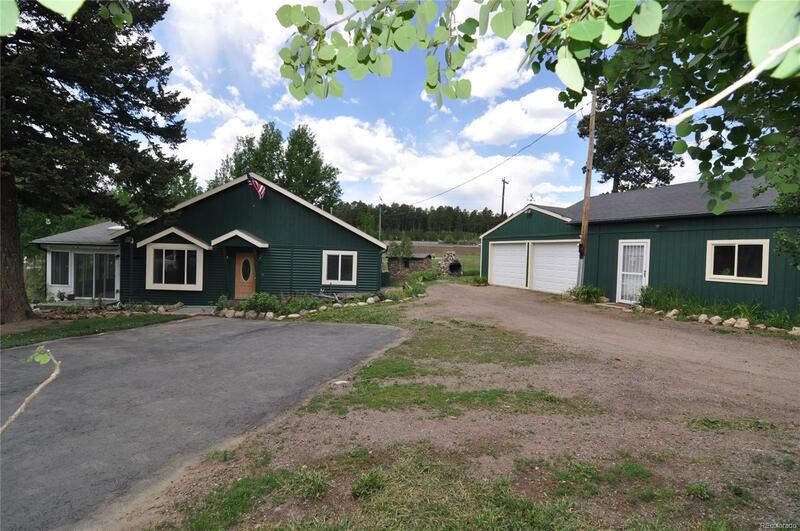 Solarium, Hot tub included, great wooded yard, several aspen groves, flat usable land, zoned for livestock, walking distance to restaurants and shopping, easy access to highway, schools are all within 2 miles, wild raspberries, tons of wild flowers and roses, small greenhouse, fenced in gardens. Oversized 4 car garage, 3 sheds and a large chicken coop.